Pipeline Management - Simple is Smart. Pipeline : Powervieux's versatile and powerful Dashboard keeps you and your teams razor sharp on the most important aspects of your business, namely: Pipeline, Revenue, Cash and Target Setting. Let's start with Pipeline. 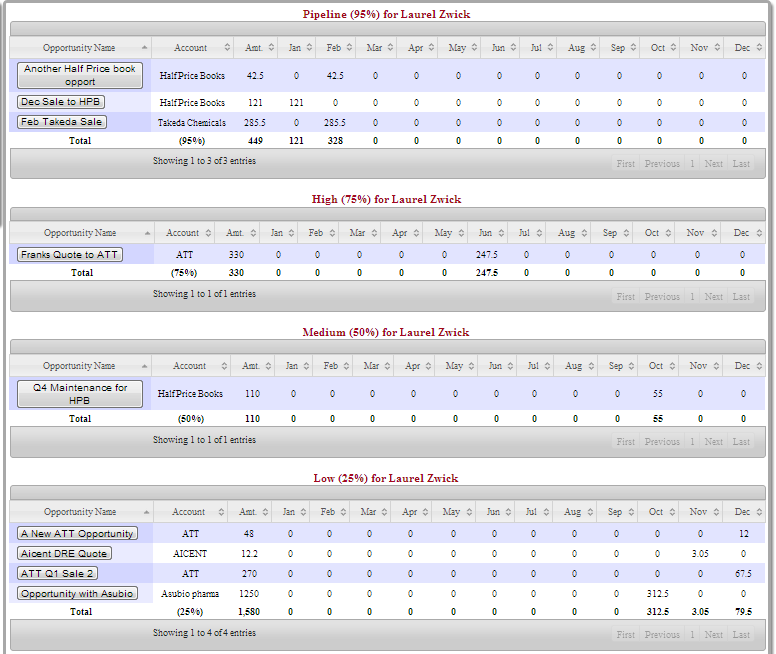 With Powervieux's versatile Pipeline module, your Sales meetings will be much more productive than before. First of all, you know about missing the target "ahead of time". 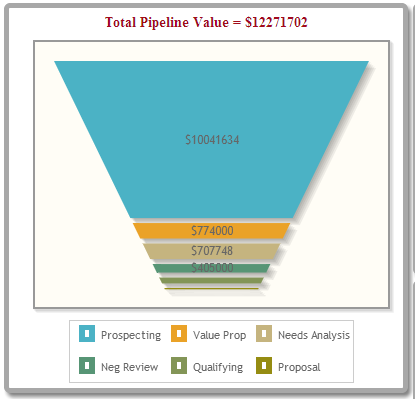 Is your funnel big enough to meet your targets ? Is your closing ratio strong enough to carry you through ? Can you bring some Sales forward ? The data is at your fingertips. You know what to do and who to call to manage October Pipeline shortage. 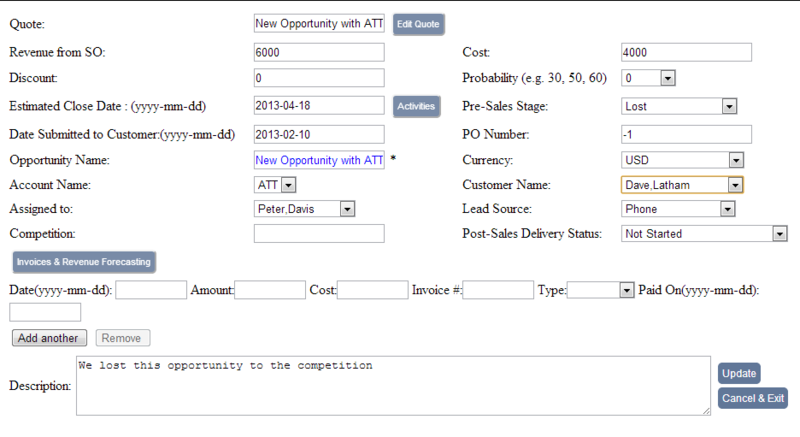 Using Probability, Net Terms, Close Date and the Opportunity value, Powervieux automatically crunches numbers for you. No need to chase data. 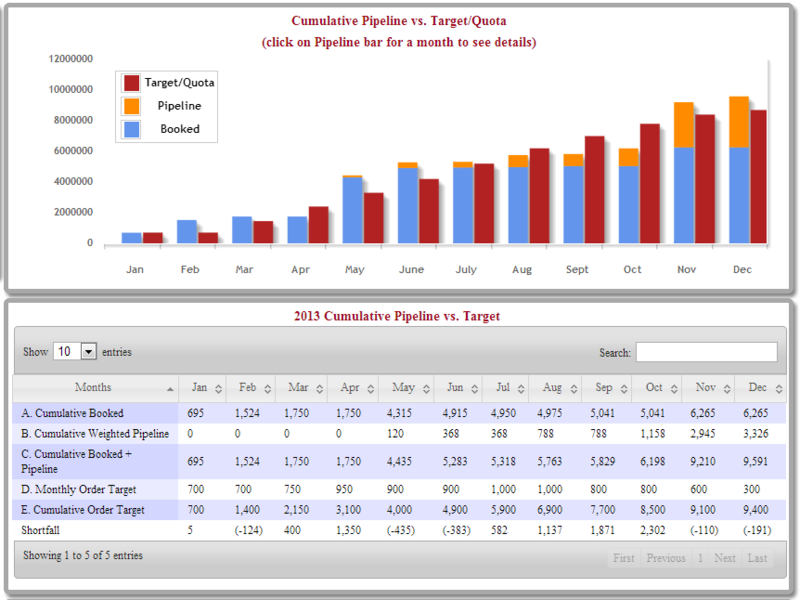 Watch your Pipeline move from Leads to Win in real time. Click on opportunities to make real time changes during a meeting instead of later.